At Velocity EU, Strangeloop president Joshua Bixby will unveil findings from the first comprehensive study ever conducted of mobile performance over 3G networks. In this webcast, Joshua talks about why measuring 3G performance is important, and what kind of evolution we can expect to see from mobile networks, browsers, site development, and performance best practices in 2013. As president of leading acceleration solution provider Strangeloop Networks, Joshua considers web performance from a broad range of perspectives, from technical issues to the psychology of performance. Joshua has spoken at Velocity conferences in the US, Europe, and China, as well as at the Web Performance Summit and various Web Performance Meetup Groups. He writes about performance trends, news, and research on his blog, Web Performance Today. 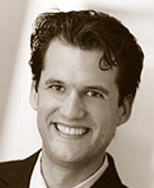 Before founding Strangeloop, Joshua co-founded and served as President and CEO of IronPoint Technology, helping lead the company to successful acquisition by The Active Network. He also served as Senior Vice President, Marketing and Product Development, at NTS Internet Solutions, after having held senior marketing and product roles at MNK and GRAPAD.